Ms. Sherrie is excited to launch her hair care line and on Nov 3, she will be launching it along with an amazing fashion show and hair show. Come and celebrate with us. This was an amazing opportunity to support Women Philanthropists in Our Community. It is amazing to not only support and honor them, but to also learn more about their influence and impact down through the years. Join Celeste as she speaks with the women of Professional Dimensions. "The Freedom Of Being Me!" 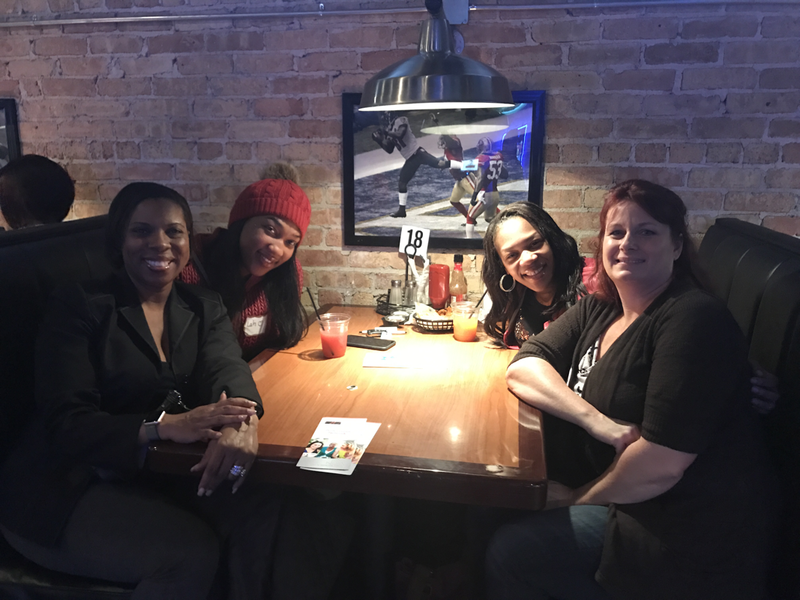 Professional Dimensions was formed to create a communications network among Milwaukee area businesses and professional women. The focus of Professional Dimensions is to help women reach career goals by establishing an organized link in the community in which they lived and worked. Join Celeste as she speaks at the Christian Leadership Workshop! Thank you for joining me at Pressure Points, an event that tackled topics where workplace expectations and responsibilities can create pressure points. There I shared my personal journey of being a Christian professional in corporate and public life. Here are some pictures from the event. 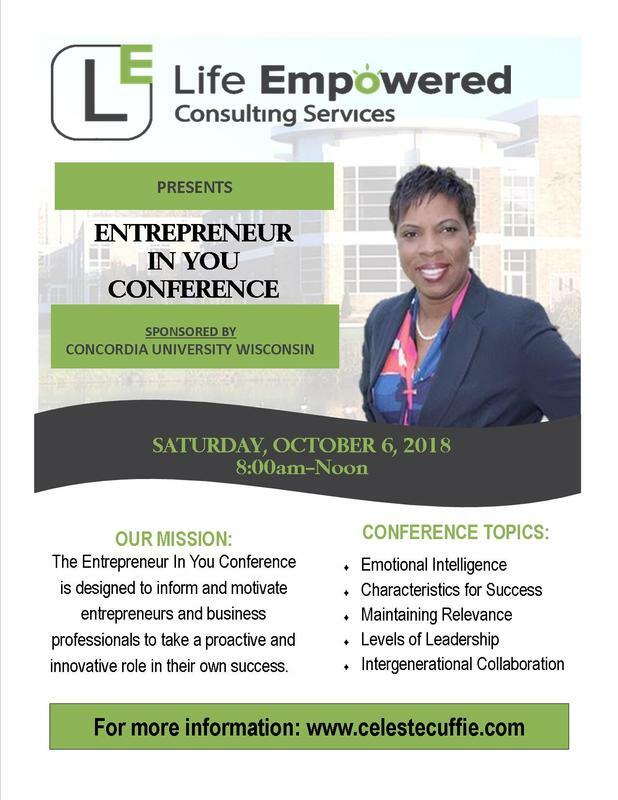 Entrepreneur In You 2018 Conference with Concordia University! Join Celeste and many other amazing thought leaders to empower, inform, and connect! Special Thank You to Yaminah Childress for inviting Celeste to be apart of the I Am - Women's Empowerment Conference "Dessert & Discussions"
What a wonderful time of being renewed, refreshed and reconnected with all of the amazing women who attended the conference. It was a delight to share "The Risk to be Great". Celeste Speaks....Coming To A City Near You! Join Celeste in Milwaukee, WI and Chicago, IL as she educates, motivates and empower individuals to reach their greatest potential. Celeste will be a speaker at two major events in the month of August. Thank you PONG for Inviting Celeste to share the "ABC's to your next opportunity" with your organization. PONG (Professional Opportunities Networking Group) is a non-profit organization run completely by volunteers. It was founded by Dave Schoeffel and Susan Fischer to support those in career transition with a highly interactive job support network. Attitude: What do you believe? Behavior: How are your beliefs being demonstrated? Commitment: How committed are you to achieving your goals? ​The Risk to be Great Book Signing! Thank you all for taking time out of your day to celebrate with me. Here are a few pics from the event. Special Thanks to Laniece McGee and Christian Cupcakes & Connections for allowing me to come out and share about defining your legacy through your business. Special Thanks to the Junior League of Racine for allowing me to come out and share about emotional intelligence. It was a pleasure to serve some amazing women. Special thanks to Dr. Coppins-Robbins and the entire MTEC family for inviting me to be a part of their Winter Symposium. It was nothing short of amazing. Special Thanks to the Junior League of Racine for allowing me to come out and share the process of pursuing purpose. What a great session with a great group of women. Humbled and honored to get to know these amazing women. Join me as I celebrate educators at the Winter Symposium! 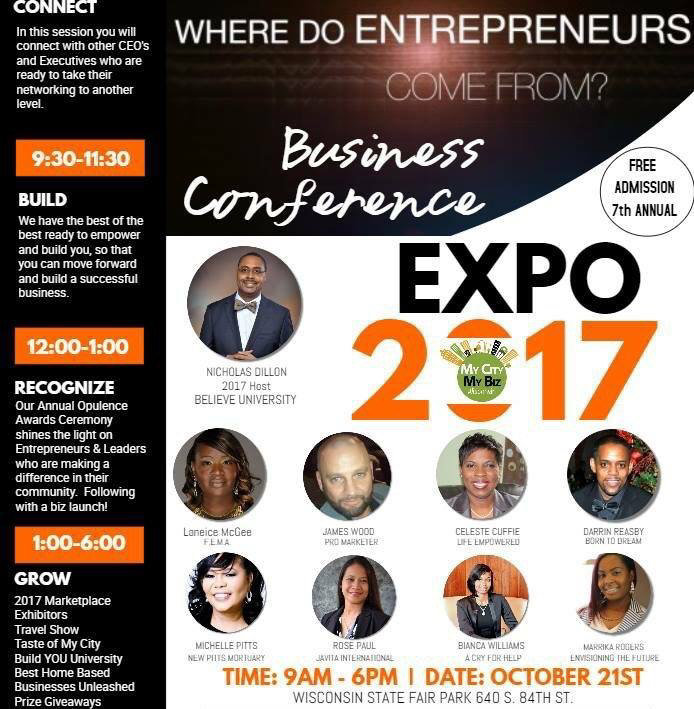 Meet me along with a panel of experts to discuss where Entrepreneurs originate. 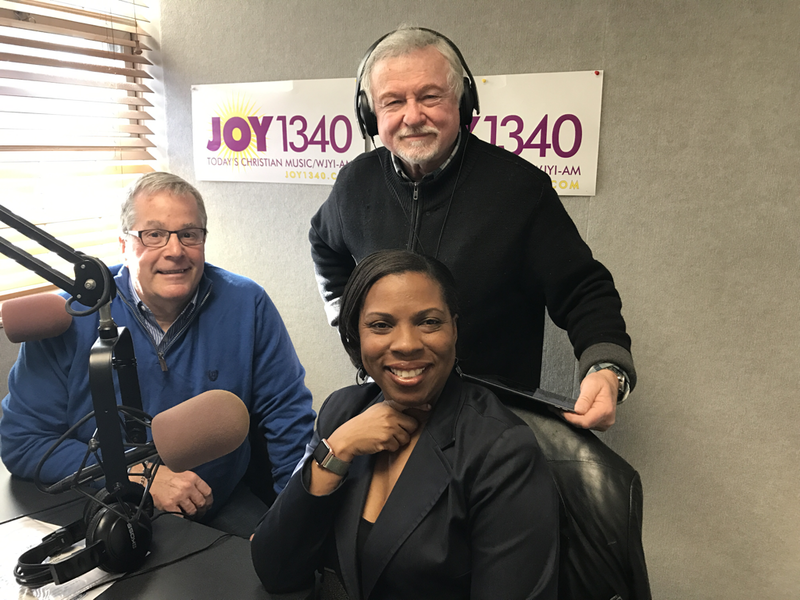 Had an amazing time with Jim Rosetti and Ron Nielsen on the Biz Connection Radio Show! Honored to be at the John Maxwell Leadership Conference! When you serve, it's important to stay grounded with the understanding of what servant leadership is. This "Wisdom In the Room" was held at Concordia University. Thanks Michelle for facilitating such a great topic. I was honored to be able to be a speaker at the LOVE Ministry Retreat! Enjoyed spending time with other Concordia alumni at this event! It was in a beautiful space. The Black Girls Rock event was beautiful! There are so many great women doing excellent things in Milwaukee and it was great to see them recognized. I was honored as an influential entrepreneur in Milwaukee and the Keynote speaker! I was so blessed to be able to meet so many movers and shakers at the Butterfly Experience which was created by Miss Tia Cannon! There were informative workshops and the brunch the next day was absolutely beautiful. Honored to meet with some amazing women and students as we shared about the professional fields in STEM. We all need each other and we are certainly better together! Grateful that I could be a sponsor and I look forward to supporting next year as well. Thank You All for coming out! So many more pics to come! 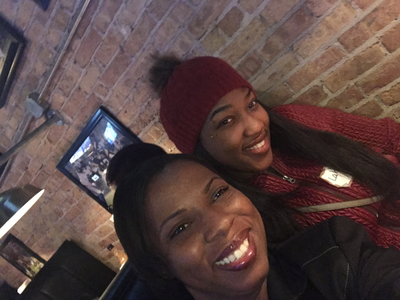 Had a great time meeting great women at the NAPW event. The Biz Connection Radio Taping! Special thanks to Jim Rosetti and Ron Nielsen for allowing me to come in and share the story of Life Empowered Consulting Services. It was a pleasure to meet with you both!! 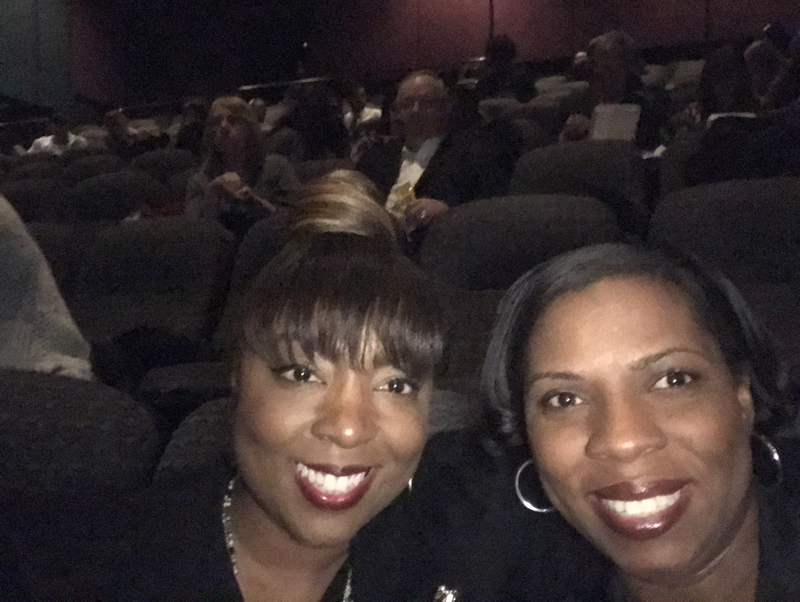 Honored to Attend the Maya Angelou showing! 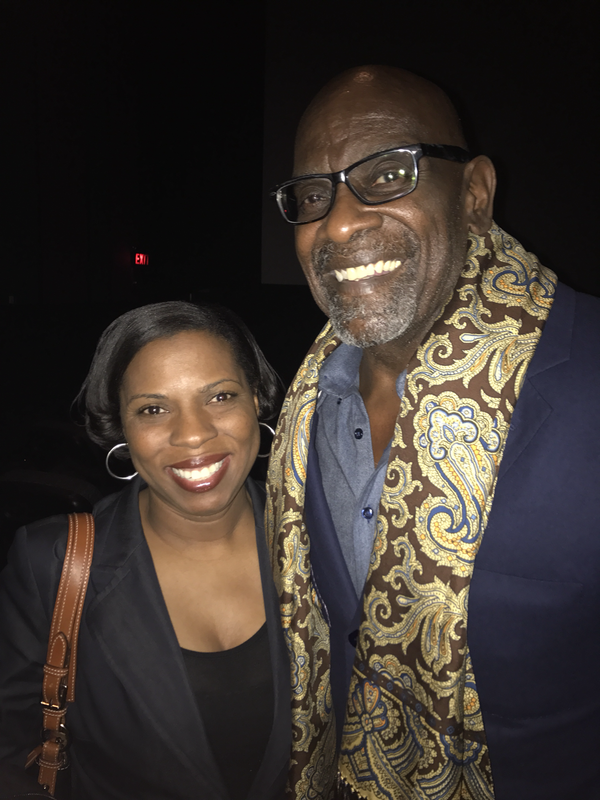 I had the honor of smiling and learning from Mr. Chris Gardner (the movie The Pursuit of Happyness starring Will Smith was based on him) himself... about being Best In Class!! Also got to enjoy the moving sitting next to the Mequon County Board Supervisor, Janette Braverman!! Connect with some like-minded people that are goal oriented and motivated, and determined to learn and develop new strategies to accomplish their personal and professional goals. This 8 week on-line session will further your goal setting, accomplishment, and time management skills. In addition, time will be spent on how to overcome obstacles to achieving goals. There are two groups forming, one Sunday evening @ 8:30 pm and the other Monday evening @ 9:00 pm. The sessions will begin February 26th and 27th respectively. Register Here! It was such an honor to serve as I presented information on how to set and achieve goals. These skills are invaluable to anyone that wants to be a success in life. Write, work it, achieve it! Purpose: To provide support and tools for those considering publishing their own work. I had the great honor of sharing with a group of IT Portfolio Professionals how to increase the effectiveness of their PMO Office. This presention is not about tools, but about people and the tools that they themselves posess and how to best leverage them. Purpose: To provide support and tools for those looking to understand their purpose. Purpose: Worked with a group of individuals of about 100 between two workshops to help them identify their purpose.